I re-connected with an old friend the other day. He is in the throes of internal and external break-downs— a dissolution of life as he knew it, and of himself as he knew himself to be. I recognize this place as a tender place, a terribly painful place and a deeply sacred place. I was very impressed with my friend’s wisdom amidst his feeling of complete disorientation: he knew he had to find a spiritual connection. He is, as he said, a very pragmatic aetheist, though he wished with all his might that he COULD believe in God. I could relate. I too in my life have felt that sense of an impossibly huge and yawning gap between me and “God”, whatever the heck that is. Or more accurately, I’ve felt too small for anything like God to give a damn about. I’ve been slow to waking up to the pain of the world. I have had a relatively easy life, a decent childhood and not much trauma, compared to what many people experience. In my 30’s I remember thinking, and even saying to people, “what’s all this Buddhist stuff about ‘life is suffering’?” It seemed to me that if you were suffering, you simply weren’t paying attention to all the beauty and goodness everywhere in the world. Which, as I see now, was both true . . . and not true. Then the middle of my life rolled around and somehow, I was plunged into suffering—suffering from the inside out like I had never experienced. As I did, my friend is doing psychotherapy, where he is learning to feel fully the grief and pain that he necessarily suppressed while growing up as a tender human in this often harsh world. His heart is breaking, as did mine, and he is shedding many tears, as did I.
Williamson goes on to say “ But we need support in feeling our positive feelings just as much as we need support in feeling our negative ones. It is the experience of genuine emotion of any kind that the ego resists. We need support and permission [my emphasis] to feel our love, to feel our satisfaction and to feel our happiness. Permission to feel satisfaction and happiness — to feel joy. It’s OK to relax and profoundly FEEL JOY in the body. What a radical and liberating concept. I was inspired to speak to my friend about the burning in my heart — this very visceral experience of love that is kindled by opening myself fully to the pain and suffering of the world. The Buddhists have a name for this practice: Tonglen. It is a emotional/physical act that one feels in the body, a literal sensation of burning in the center of the chest. In can start as a small spark, a feeling of compassion for another as we recognize a shared identity of our human condition. Here’s the catch: one’s heart must necessarily BREAK before one is able to feel the burn. It is critical to have support in feeling, nurturing, fanning oh-so-gently the new little flame of this kind of a larger love. My wise friend sensed this, not knowing fully where he was going or what he is seeking. Together, in a shared space of communion, we focused our attention on a spark of love in our hearts — and I saw for a moment, fire kindling in his eyes. I’ve been feeling crazy stuff in my body and psyche this past week. I awoke last Friday feeling as grey as the weather, for no particular reason that I could put my finger on. In the afternoon, a friend told me the news of what had happened that morning at Sandy Hook Elementary in Connecticut and I felt a heartbreak grow in me so deep that all I could do was sit in silence and let tears roll down my cheeks. For days that heartbreak has persisted. I had devoured a book by local spiritual teacher Clinton Brock the preceding week which opened me up to the idea that my spiritual evolution was not entirely up to me . . . that there are larger forces at work (like, God, for example) and that maybe I needed to surrender in some way; give up my Identity Project as spiritual athlete. Then I picked up a book I’d had in my library for some time, The Grace in Dying by Kathleen Dowling Singh, and began reading her brilliant transpersonal perspective on how we are spiritually transformed as we die; that it is a natural and normal part of the human experience. At the moment of death, we come to know ourselves as immortal, divine consciousness that exists beyond our physical bodies. But before we come to that knowing, there is tremendous resistance and suffering, anguish and great grieving—and necessarily so. The ego does not so easily give up its life. For days now, I’ve felt like something in me is dying. I have been asking God/The Greater Force and Field of Life to burn away everything in me that is not Love. And my heart has been aching constantly, radiating down my arms. I've felt way too clearly the enormity of my smallness, that I am so mean to myself inside, of the myriads of ways I act from the mental ego and how closed off my heart is. I’ve not been in the greatest mood, I’ll admit! But I have had a sense that it is not entirely about me. That if I wait and fully feel what is going on, something will eventually shift. I noted that in the darkest moments of grief, when I sat meditating, feeling the heartbreak with my full attention, it would morph back and forth from grief, to love. From grief to love and back to grief and then to love again. Deep, open-hearted love. And sometimes, while meditating, I would feel nothing, no connection. Nothing but my chattering mind, going on and on about this and that, trying to enroll me. Yesterday I was able to catch some of the global celebration happening around the world via live feed on my computer. Our technology has taxed the resources of the earth, sped us up beyond our natural capacities AND it is connecting us in powerful, unprecedented ways. Watching and listening to the words of others who feel the transformation happening on the planet, I felt unified in a field of common knowing, the ‘noosphere’ that Teilhard de Chardin spoke of. This is what I know. We are evolving as a species, waking up to who we really are: immortal divine consciousness, one with the whole process of creation . . . we ARE the process of creation, becoming aware of itself. At this moment, the heartache and fear and tears are gone. I feel myself to be in a quiet space of limbo, a waiting room that is clean and empty. Waiting now for birth. I write this for you, dear reader, who is on this journey with me, in your own unique way. We all have a purpose, a special role to play in the new world that is dawning. Creating beauty, inventing something, being Love, making peace in small or big ways—the possibilities for cooperation and co-creating are endless. Now is the time for right action. We are now consciously choosing our future together. Oh boy, it’s MUCH safer to not be seen, isn’t it? I won’t get hurt, won’t get pushed around, won’t be asked to do something I am not strong enough to do. Yet, clearly I am NOT invisible!! I read a great story in a Finnish children’s book (The Invisible Child, Tales from Moomin Valley by Tove Jansson) about a little girl who was literally invisible. The only thing you could see of her was the bow on the top of her head bobbing up and down as she came into the room. The kindly Moomin family took her in, and they paid real attention to her, even though they could only see the bow on the top of her head. As they asked her what she wanted and listened to her answers, she slowly began to come into view . . . first her head and finally her whole body appeared! The great price a person pays for believing they are invisible is staying small. I feel such a great urgency and energy to create in my own way toward the unfolding of this mysterious evolutionary journey we’re on. But as long as I feel I need to remain invisible to be safe, you can bet I won’t step up and speak in my true voice, loudly, to a big crowd! I won’t develop or be able to give the world my unique gifts. I have come to realize that when I am truly and deeply seen by another, I can feel myself for who I really am. I also feel a poignant bond and gratitude toward that “other.” Harvard zoologist and writer E.O. Wilson coined the term ‘biophilia’which he defines as our innate human affinity for other living organisms (including the other-than-human). Historian and early ecopsychologist Theodore Rosak said that when we feel this attuned affinity (we are literally vibrating in harmony), we feel a shared identity with the “other” . . . a shared identity which he calls love. To awaken to our shared identity with each other and with nature is to SEE and to be seen. I am speaking of this awakening as seeing (and opening ourselves to being seen) with our whole being—with our hearts and souls as well as our eyes and all our senses. Once a modern person (like me and perhaps like you) experiences this communion, they are changed forever! Then we get to practice it every day, so that this way of walking in the world becomes embodied. During my schooling at Naropa, we were given a simple practice. It was a practice about seeing and being seen by nature. Maybe because I had felt invisible all my life, this practice jolted me out of my skin. Go outside. Find a place where you can be in nature; either wild nature or domestic nature. You will be paying attention to nature in three different ways or from three different positions (in your mind). In each position, see how fully you can feel what’s going on in your internal world. Notice any immediate response in the body (before you start thinking about it. )How do you feel, what you sense at the intuitive level? Fully immerse yourself in each of the three different ways of paying attention, one at a time, and if you can, write down your experience at the very end to help anchor in any learning the practice revealed to you. Fully play this role of being a human being (which should be pretty easy!) who is outside observing nature. Because this is our ‘normal’ state of attention, you may feel very normal. Fully feel it!! What are the qualities of this ‘normal’ state of attention? Now switch from seeing to being seen. Imagine nature looking at you, being aware of you, watching you. Can you sense into what this position feels like? Fully play the role of a human being who is being observed by nature. Now the observation is reciprocal. What happens inside of you? Anything? As usual, I'm keen on any feedback anyone might have who tries this practice. Stories of your experience are always a great gift to everyone!! Do you have some heartache or trouble that you wish to have some clarity about? Well, here's a little story about magic and an invitation to try a simple practice that may help you. There is such a thing as magic. I tell my 8 and 5-year old nephew and niece this in all seriousness. I'll attempt to use words here to communicate my point, and afterward, invite you to try a simple practice for yourself. I get all my body needs taken care of and sit in each [of the four cardinal] direction[s], feeling which way calls me. A small ridge to the West feels like the place. I hadn’t really seen this ridge before—my tent is pitched too close to its base. I’m drawn to what appears to be a grove of scrub oak on the densely vegetated slope. How to get in? I find a trail to the north, going up the slope. I find a sort of a way in. I bushwack a bit, looking for the being I’m supposed to talk to. 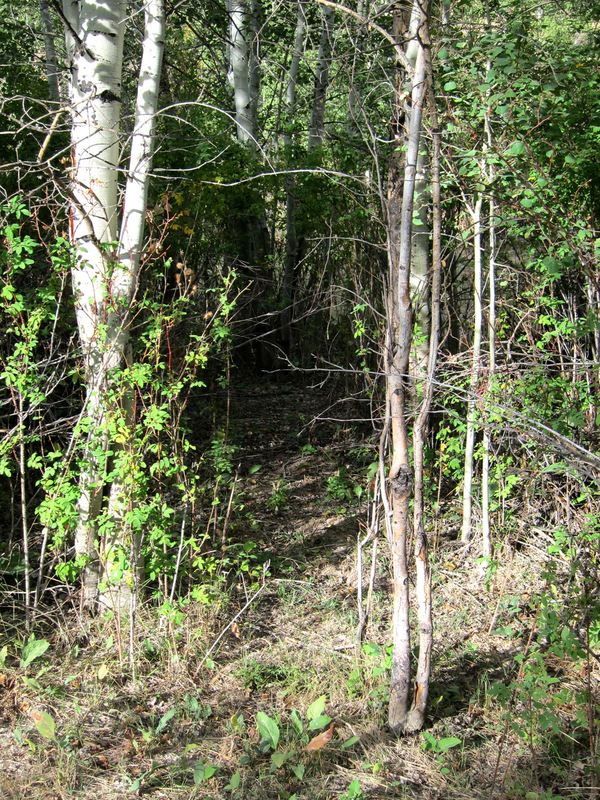 I come upon a small clearing—and am caught by the three scrub oak on the perimeter—unevenly spaced. I think (of course) of the [relationship] triad [in my life at that time] which is perfectly metaphored by these trees. I sit down in the clearing, facing the trees. I feel very comfortable sitting in the space. Are these trees who I’ve come to speak to? I ask them. They say “no.” With a sigh, I stand up. I guess I have to press on into the woods. Sigh. I decide to leave my jackets and water in the clearing and plunge into the woods. I’m thrashing toward a grove of bigger oaks. Looking around . . . where is this being I’m supposed to talk with about soul powers!?? All these trees . . . I feel dejected. Should I thrash further to those trees beyond? I need to go back and get my stuff. I thrash back in disgust. And when I come back into the clearing, it hits me like thunder. It’s the CLEARING I’ve come to speak to. I was looking for a THING. It’s SPACE that was calling me to the grove. It all came together in my brain like a beautiful picture appearing. I didn’t speak. Silence; we spoke in silence [the space and I]. The clearing wanted to show me my soul powers, through itself. Space is everything, but most often, it is not seen. I’ve been making space, creating space, working with space my WHOLE life. I see it now.I weep. I have learned to find wisdom (which, looking back, often feels like magic to me) in my sacred relationship to nature. It's subtle and easily missed. It requires that you act on quiet impulses. Noticing what calls you. OK, truthfully it's all going on in your own head, your 'imagination' . . . but if you listen carefully enough to let the small voice in, the realizations are profound. • Think about the issue at hand. What are you struggling with? Can you put your finger on the essense of the issue? Frame it in a single question, if possible. • Sense where in nature you are called. It could be driving 2 hours to a wild place out of the city, or simply walking out to the backyard. Go there. • Sit in the place you have chosen. Take time to look around and get synched in with your surroundings. Feel your body. Listen to the sounds, smell the smells, feel the textures and temperatures. It is important to get out of your head and allow spaciousness to fill your interior. GIVE YOURSELF THE SPACE to let the answer bubble in on its own time. • Holding your question in your whole being, ask to be led to the answer you need. Be open, willing, and listen to quiet promptings. It's a communication, a 2-way conversation going on here. Ask with an open heart and listen with your whole being to what answers come up. • You may want to reflect on your story . . . what happens. Sometimes the answer becomes clear after the experience. Have a great time and feel free to share any experiences you have in the comments for this post! There is a tree in the parking strip of a little neighborhood park, near the Salt Lake City downtown area that I had noticed for many years and thought odd. I have vague memories of someone telling me about this tree—that people 'worship' it. It is a big tree, an elm tree I believe, that is technically property of the City. The tree is noticeable because of the sturdy wood and metal stair structure built in front of it, which is often plastered with pictures of Christian saints. There are always candles burning around it somewhere (those big tall glass ones with pictures of Jesus or Mary on them) and often fake flowers are tucked in various places. About three years ago — on a whim —I decided to just stop instead of driving past as I normally would do, and walk up the stairs to see what the deal was with this tree. The platform at the top of the stairs was at such a height that at the top of the stairs, I stood right in front of the healed over face of a cut-off branch, which was about a foot in diameter and looked like it was cut off many, many years ago. I was astonished to find the face (no longer flat, but now worn back and quite featured) containing two holes that were filled with water, like tiny pools. The water seeped over and ran imperceptibly down the trunk of the tree, the bark damp and worn away along the path of the water. I don't know enough about trees to know if this is something that certain trees do . . . slowly seep water, but it seemed rather amazing to me, having never heard of it before. There was a framed photo of that same flat branch face screwed onto the tree just above the real, live face —a faded photo where one could make out a small shape of what indeed looked like a Madonna, out of which water seeped. After that first visit, I went back to see this unusual tree every so often. I would stand on the platform and give gratitude to the tree, tune into her and maybe ask a question. Often answers I heard were very gentle and very wise. One visit on a winter’s day over a year ago, I was horrified to find a railroad spike and a large nail pounded into the opening where the water comes up. There was no water . . . it seemed to be blocked. It REALLY upset me, for days. I was surprised at the depth and ferocity of my anger. I felt as if someone had violated something in me at a deep level—some place beyond my personal sense of self, beyond my one human life. I felt had to do something. 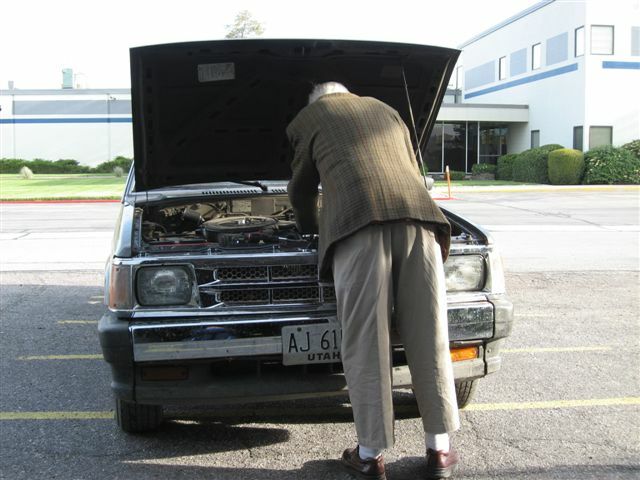 Of course,I tried to pry the thing out—no way was it coming out without some major force. I asked the tree about how she felt about the whole thing. What I heard the tree say was, "It's OK, don't upset yourself. The person who did this is in great pain. I am not hurt. Thought you cannot see it, my water will eventually rust iron away . . ."
I visited the tree two or three times that week, to pay homage and give love to her (and me). Eventually, I ended up writing a note to whoever had perpetrated this crime, and in a lightly falling snow, left it in a ziplock baggie tucked into the tree. I expressed my anger, and I expressed forgiveness toward them, imagining what their life experience must be to do such a thing. About a week later, I visited the tree and THE SPIKE AND NAIL WERE GONE. There were flowers and balloons decorating the stairway and the tree itself—a grand celebration!! I was ecstatic! Whoever takes care of this tree had gotten the spike and nail out. I felt great joy, and appreciation for the community who recognized this sacred being in our midst. I visited the tree last week, as my wedding draws near. I noticed how scarred the once flat face of a cut-off and healed-over branch of this great big tree had become —and even burned it seemed to me . . . something new from last visit. And yet, the water was still there. Now in several pools, spaces enlarged in the wood by the slings and arrows of outrageous fortune that were bigger now to hold more water. 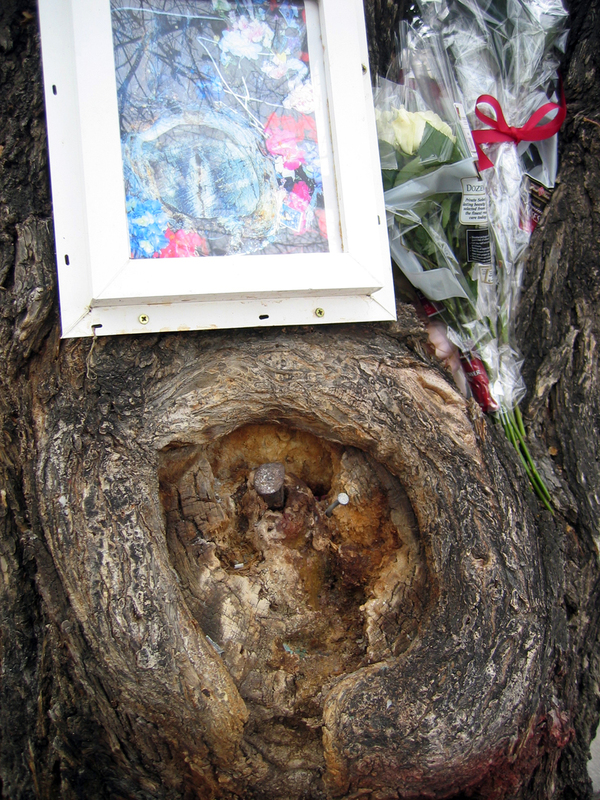 There likely are MANY stories surrounding that tree, as evidenced by her quite scarred and scraped up sacred face. Yet the water keeps flowing . 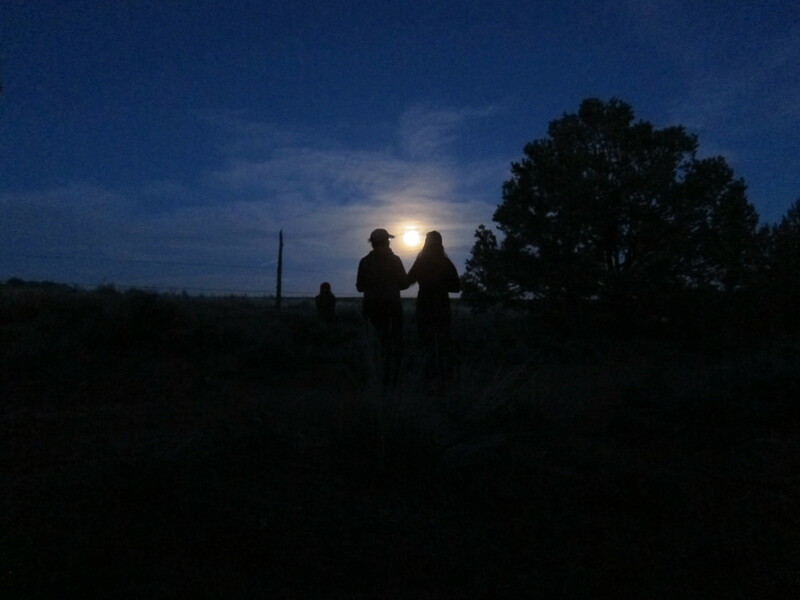 . .
Six courageous women participated in the Coyote Canyon Vision Quest in early May, in Southeastern Utah, which I guided with my wonderful co-guide, Robert Wood. It was an intense ten days that will be long remembered by all!! Not everyone is willing or able to take ten full days out of their busy modern lives to sit in talking circles, dig deep for the biggest questions of their lives, and be led by their hearts — to be alone for three days on the land, with minimal gear, a tarp for shelter and only water to drink. We watched the "Butterfly Moon" rise. We spoke our hearts to each other, and listened with our whole beings—to each other and to ourselves, and to the Mystery that moves through all life. For me, vision questing is unlike anything I do in my 'civilized' life. It takes me deeper, shows me more about WHAT IS REALLY REAL and challenges me more than my 'regular' life. It's an ancient, time-honored container for human beings to safely go to the Source and to get guidance as to who they are, why they are here, and what they have that the culture needs to be renewed and directed toward ever-greater wholeness. Mostly, it's an experience that words cannot name. Questers who have come back from such an experience, perhaps like men who have been to war, cannot speak of their experience except to others who have been there. But, that there are no words is a good thing. Because a quest is to be embodied. It is to be lived INTO. Speaking of it could never say as much as living it, day by day. I honor these women who showed up fully, down in Coyote Canyon. The world is different because of what they did. “Where would my ceremony fit within the three stages of a rite of passage? a. Do I want to mark a severance (separation, termination, parting, letting go, conclusion)? b. Do I want to mark a threshold (transition, change, adjustment, shift in role, status, or task; period of extended depression, transformation, renewal)? Suddenly it struck me. I had done 3 vision fasts of my own in the last 6 years; more or less one every other year. Reading this particular definition of the three stages, it suddenly became very clear to me that each one of my quests had taken the form of each of the three stages. The first quest, in a red rock canyon on the border of Utah and Colorado in 2007, was part of the Masters’ degree I was earning from Naropa University. I was two years out of a divorce that had broken my heart beyond what I thought I could bear, weeping every day (no exaggeration) for those two years. On that quest, I dimly began to see that the power and skill I was so profoundly attracted to in my former husband was in fact, MY golden shadow—powers and skills I had that I did not recognize, could not recognize in myself. My quest was marking a severance from a love that had swept my away at my very depths and that I had destroyed because I could see no way to stay and continue to grow. My second quest was and ‘advanced’ trip, with Bill Plotkin and Geneen Haugan of Animas Valley — an “Underworld Journey.” It was on this quest that I was plunged into suffering. I met my ancestors and spoke with the Black Madonna in a red rock site above a canyon creek that hung between a large phallic rock formation and a still larger cave. For three of the four days, I awoke with nausea rocking my body and dragged myself to do ceremony, suffering physically as I rarely have in my life. This quest was a transition, adjustment, alchemical transformation, a visit to the dark side of consciousness. My last and most recent quest, last September in Death Valley, was a ‘renewal fast’ put on for members of the Wilderness Guides Council by other members of the Guides Council. It was a gift that guides give each other. I felt nervous about what might transpire, remembering all too well the difficulty of the last quest. Surprisingly, this quest was entirely different. I was called to a site between the worlds— a ridge from which I could look south and see the road we came in on and the small sparkle of lights in the distance of some bit of civilization, and look north and see the back-country, the sacred out-of-time place where my fellow questers and base camp lay. I felt quite calm the entire time. It seemed there were very few demons that visited me. I stood and wove the two worlds together. I lay on my stomach on a cantilevered rock at the very tippy top of a pile of boulders, facing south, and flew into the world. I was crowned queen, in a magnificent ceremony at sunset of the third day. I crowned myself Queen of my Life. I even ate (ceremonially) a little fruit bar on my fourth day, just because I wanted to. This gentle quest was an incorporation, a union and reestablishment of harmony. It was a new beginning and a marking of coming into ruling my realm and participating in the world, now with new responsibilities and wisdom. This stuff just happens on vision quests. I didn’t plan any of it. I follow some inner impulse and act out what is being asked. Frankly, it freaked me out, the instant I recognized this amazing pattern within a pattern. How could it be that without knowing it consciously, I was living out a larger vision quest, with each of my quests marking each stage, in order, of a rite of passage? WHO IS WRITING THIS SCREEN PLAY?? As a pattern-maker and pattern-seer, this recognition delighted me with great wonder. It verifies for me the Truth, Beauty and Goodness inherent in rites of passage, that goes way beyond human reason. I’m not trying to do anything but live fully and follow what I’m pulled toward — which as I’m doing it feels like utter chaos and confusion. But looking backward from a greater perspective, I see the perfection in the pattern and smile. I have just returned from the 2012 Wilderness Guides Council Gathering, held March 19-24 in Vallecito Stage Station County Park in Southern California. This gathering has been held since about 1988 in various places, started by a number of guides from the School of Lost Borders, now spread beyond those borders. The gatherings have a long and interesting history. They trace the development of a community of extraordinary people who feel a great passion in the depths of their bones for the work of rites of passage. I felt humbled and grateful to have found them. The way this community works is a hybrid of the ancient, indigenous ways (organic, egalitarian, emergent), and of the modern American ways (structured, individual-based, action-oriented). I learned so much by simply being there, observing how people treated each other, how they showed up, how they dealt with conflict and how they held one another. Being with this group for a week in the desert, I came to understood at a deeper level the power of seeing and being seen. Questers are taken out on the land by these guides, to fast alone for three or four days in sacred space, with a yearning in their hearts. It is a primordial human response to the hunger for deeper vision, something not unfamiliar to us. As a quester, you empty yourself. After a few days of sinking in, of being with your new community of fellow questers and guides and honing your reasons for being there, you are ceremonially sent out onto the land. For three days and nights, with ‘nothing to do,’ you naturally attune to the rhythms and energies of your place, of the site on the land that has called you, that you have chosen. Even though it often doesn’t seem like it at the time, a different way of seeing emerges, a visionary eye can open and you touch the Mystery that is behind all form . . . a flow or energy that is hidden from view in the busy world of work and contemporary culture. And what people experience, over and over, that you SEE WHAT IS REAL, what is TRUE. You see it with the whole of your being; mind, soul and body. It changes you forever, because a meaning you now can orient your life around comes clearer, a meaning that is much, much deeper than anything you can think up in your own brain or that the culture can give you. Upon return, each person’s story is mirrored or reflected back to them by the guides. You are now in turn truly SEEN for who you really are, behind roles and masks and culturally sanctioned labels. It can be a shocking and moving experience, to be seen in this way. My first experiences of first being deeply seen, heard and listened to were as a student at Naropa. I remember very distinctly the feeling I got in my body when I realized that the whole circle of people gathered there had their full, loving attention on ME . . . . without judgement or expectation, just open hearts and ears. Of course, I broke down and cried tears and tears! At the Gathering, one long-time guide asked, “what is living the initiated life?” (Those who have fasted on the land in this way are considered ‘initiated.’) One answer is “having Seen and having been Seen.” A vision fast, as a rite of passage, is a gateway to being introduced to one’s own soul and to seeing the soul of the world. I believe those who have Seen and have been Seen will be the ones who can guide our culture to greater health and sustainability, in a good way. I’m watching my father lose his memory. It’s manifesting as an exaggerated tendency I’ve seen in him all his life; a certain lack of coherence, lack of making connection between word and action, between action and consequence. Now it’s laid bare and it has got me really thinking about the nature of reality. My father will ‘create’ a story in his mind about things that are not consistent with his view of himself and who he is, or events that he can’t explain without putting himself at fault. Money ‘disappears’ from his checking account. People steal things from him. His computer is broken into and his e-mail is suddenly gone. We all do this. We all blame the outside world for things that appear to “happen to” us. But what if our reality is, at the most fundamental level, purely a construct of our own consciousness, made evident by the organ of our brain, full of miraculous neurons firing and not firing? What if our consciousness, or what we are aware of, is very literally CREATING what “happens to” us? What if what is ‘real’ is literally nothing more than what we think is real? Sure, we’ve heard this all before. New Age stuff. Except that at this point in my life, I’ve seen it operating with amazing precision in my father. His life is full of hard work and problems—because he is constantly creating them. So what am I creating for myself? With a great deal of help and practice, I have been able to peek behind the curtain of my own consciousness and see a bit about how I create my reality. I have certain beliefs about myself and the world that get played out because I show up consistently in such a way as to manifest those beliefs as true. The beliefs that I hold that serve Life, that move Life forward manifest and move Life forward. The beliefs I have that keep me small, keep me contracted, manifest and I stay small and contracted. It’s an amazing design, actually. It keeps the cosmos from flying apart into no-thingness. Freedom, liberation, enlightenment comes from becoming conscious enough that I can CHANGE my mind. I can choose my thoughts, I can see the connection between what happens to me and how I present myself that elicits certain reactions from others and from the whole cosmos. And let’s be honest — it’s wicked hard. I’m basically attempting to re-wire my brain, to create new neural networks by seeing my beliefs for what they are (beliefs, not reality) and then ACTING over and over and over again in new ways to de-wire those neural networks. The hardest thing is believing that this is how things work, and it’s possible to change your own reality in the most dramatic sense. The next hardest thing is getting to and truly seeing your own invisible belief structures that lie below the level of everyday consciousness. Very tricky business. After that, the next hardest thing is behaving in new ways, actively breaking old and very entrenched habits (that I engage in before I’m even aware I’m doing it!). And then going back and finding the next belief that creates a limited reality and do it all over again! But the result of the diligent hard work (thanks Dad!) to re-wire my own brain out of the belief structures that keep me small and contracted, is a lightness of being, a freedom and joy that makes me want to keep uncovering and re-patterning my consciousness again and again. Even though I don’t really know my father at some level, I love him. I don’t love his behavior a lot of the time. I don’t love the suffering he creates for himself and others. But I am thankful to him for teaching me the most important things about the nature of reality. The trip was huge. It was a big step for me—a big undertaking—and an awful lot happened. How to begin?? • A group of strong women, eager to push their own boundaries, supportive of each other, with the courage to expose their vulnerabilities. • The itinerary didn’t go as planned in any way—we helicoptered out. Pushing physical boundaries. • Magic of the Sherpa Buddhist culture. Being so cared for, so seen in our divine goodness. Buddhist puja ceremonies in monasteries, monks, stupas, big mountains, gentle Sherpa staff. • Each woman’s story unfolded inside her, each woman was given what she needed to push into new territory of her own psyche, and came back different in mysterious ways. Elana, U.S.A. Something happened on the trek that was magical without being fantastical or explosive. There were no fireworks, just a slow settling into a deeper part of me that is much more in synch with what I came here on the planet to do and be. There is less chatter in my brain convincing myself to think or do a certain way, and an accepting silence that is, oh yes, settling. I stand for myself with more clarity. I think this in part due to the intentions set at the beginning of the journey, in part due to the incredibly supportive leaders and participants who listened intently with open hearts and stood for my intentions with me. And of course, the magic that occurred is also due in large part to nature and the challenges it posed that forced us all to be more in harmony with the natural rhythm of the earth.Diana, B.C. Canada. There is a new quietness within that is not yet permanent but well on its way to being so. There is a new ‘knowing’ that is coming from within rather than from something outside of me as I have experienced it in the past. For me, a major outcome of the work we did in Nepal was to realize that CONNECTION was what my life is to be about. Connection to myself, to others and to Life/Spirit in a way that was generative of evolution for the highest good of all. The modeling of the Nepali Buddhists’ beautiful approach to life remains with me. The metaphor of stepping into the unknown that you presented to us also remains and influences me. This piece is about a new connection to Life/Spirit. Fatin, U.K. WOW I was actually there. It wasn't a dream . . . Wonderful times, priceless memories, lovely people and true sisterhood. Simply: an experience of a life time . . . and may I humbly also say: expect miracles after this trip. Jen, U.S.A. I woke up. Everything is different. I feel great gratitude to everyone on this trip, to the heart and strength everyone brought. I too have been changed. My favorite local aunt took me out to lunch last month, to celebrate my return from Nepal. We met at a favorite Middle Eastern restaurant, and in the pale light of the low winter sun from the large front windows, with the congenial background clinking and low chatter of other diners, we shared recent stories of our lives. My aunt listened with great presence as I told her about co-guiding this transformational trek in Nepal. It was great challenge for me in ways, but clearly on track with my soul’s greatest calling. After the debrief, we turned toward other subjects, letting things all flow in and out and together, as good conversation does. It suddenly struck me that this exercise class was my mother’s soul calling. 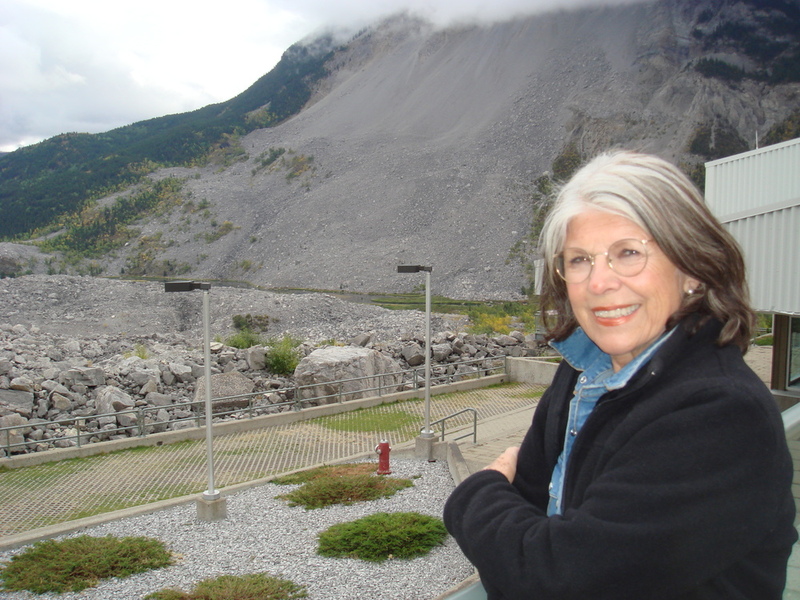 Her endless passion for it, her caring for the women who came to her class year after year, and the genuine community she had created, all had the qualities that I recognize in my love for the rites of passage and transformational work in Nature that I do. Passion, pull, curiosity, flow. I asked my aunt, what is YOUR passion? She paused. I spoke the thought that came up strongly: “Your passion is awareness of the mind, meditation and self-knowledge. Is that so?” This seemed clear to me, because this is the subject we always drifted toward, eventually. She had been very involved in Zen Buddhism years ago and spent many years getting up at 5:00 am to meditate with a sangha (spiritual practice community) four days a week before her teaching day. She began to ruminate about the history of her meditation practice . . . and she told me a story about the first time she became aware of her own mind as observer. She was in high school, a time in her life when she was excited about a new creative idea or project that would not allow thinking to stop, and could not sleep. She tried to make sense of all her thoughts, emotions and inner chaos. At times she had fun observing the reactions of others. One time she experimented testing a boyfriend as to his music preference before allowing herself to become emotionally involved. This did not work out so well. She had better success confronting her random thoughts and darker emotions one day riding in the back seat of a car with friends on a long ride on an Arizona Highway. She remembers noticing how BUSY her mind was! “What are all these thoughts?! !” she said to herself. “I was also overcome by darker feelings they oppressed me I could not escape. Usually I talked myself out of this dilemma fixing things with my positive thoughts until I felt better. Instead, with one inner swoop I turned my eyes inward and saw my thoughts and my feelings, with one gaze”. “At that moment”, says my aunt, “I decided I was going to JUST WATCH. So I WATCHED the cars, and I WATCHED the people . . . I just WATCHED.” It was a moment of spontaneous clarity, of original knowing. Only later in life did she make the connection to that moment in the back of the car and her lifelong interest in meditation. It hit me hard, hearing her story: this is my aunt’s first soul story! It is a vivid memory of a time in her life when she first consciously connected to the invisible thread of her unique life, or as James Hillman names it in his book “The Soul’s Code”, her ‘dameon’s call.’ That story is a precious one, as it is the defining moment, in a sense, to what her life perhaps is all about. I am about 12 or 13 years old and lying in the sun on my back, in the mowed and green summer grass on the hill behind our house that the University of Utah keeps up (as it is their property). I feel very clearly, in my body, the entire earth below me, curved like the hill, a great majestic globe hanging in space. I am on the top of that giant ball, as it turns slowly in space. I am part of it, and it a part of me. I am warm, safe, part of everything. Now, from the perspective who I am now and what I do, this small story of mine takes on new weight, new meaning. It is my soul’s first story. I took one psychology class in college. I have dim memories of theories of behavior and experiments with mice and dogs . . . the subject didn’t move me. Funny, because as it turns out, psychology is now one of the subjects that fascinates me the most. Professionally, I am a designer and visual communicator, and have loved this discipline for over 25 years now. I love investigating symbolic language and how communication works on a level behind words. I love creating beauty and clarity. I love working with clients who have an idea and a passion that they want to bring into the world, listening deeply to them in order to “feel into” what they’re trying to manifest, then trusting the Mystery to maneuver my design skills to give their business or organization a visual form that will communicate accurately to others. In order to do this well, I learned through experience to intuitively understand a fascinating aspect of human psychology: How do human beings make sense of visual information? Why do forms and symbols communicate so powerfully to us? What makes something beautiful? I find that inspired design requires a certain subtle type of attention, a particular kind of listening. I found I could only do good work for people and organizations that I cared about, that I’m intimately involved in the psychological equation (a quantum mechanic reality!). Often what I design seems to not come from “me." The creative act involves something beyond human thinking; a kind of Grace. In teaching the fundamentals of design, I have investigated these questions along with my students and find there really is no bottom to the questions of design, human psychology and the mystery of the design solution. Seven years ago, I noticed a restless inside of me that steadily grew until it erupted and dismembered a life and identity that I’d grown rather attached to. It became a matter of survival to understand what was happening to me. Psychology, as the ancient Greek root of the word tells us, is the study of the human soul and all its associated behaviors. Suddenly, the study of my own soul took on a new urgency. As my heart broke open, I cried for my own personal losses—a dear marriage, innocence, the familiar sense of who I thought I was—and I also felt a deep grief for the collective. I began to really see the suffering of others in a way I’d never seen before. I also felt the suffering of the planet. I understood more viscerally that things die, there is always pain, nothing stays the same. I began to feel in my bones the reality that we human beings are choking the earth and her systems. One of the many vehicles I found to facilitate my healing and “re-memberedment” was a Master’s degree in Transpersonal Psychology with a concentration in Ecopsycology, a distance learning degree from Naropa University out of Boulder, Colorado. It was here, in the first year’s summer intensive that I talked to a tree. Our class was given one afternoon to do a medicine walk—a sacred walk in nature, being drawn to whatever wanted to speak to us as we held a question of our choosing in our hearts. I was drawn to the mountain, to the First Flatiron, one of three striking walls of flat quartzite that grew imposingly out of the mountain range surrounding Boulder. About 20 feet above the ground, I saw a gigantic Pinion Pine growing straight out of the rock. It seemed to beckon, so I climbed up low angle boulders and then out on the face of the more vertical rock face to meet this tree, and sat in its lap . . . with a great sweep of reddish quartzite below and above me. Safe in the arms of the old Pinion, I suddenly remembered being a kid. I had several tree friends back then; most notably Max, who lived on the grassy hill on the southwest corner of the Gardner Music Hall on the campus of the University of Utah. Max had a knobby trunk, easy to climb, his branches spread out comfortably all at once, and he had big leaves in summer so that I would be hidden from people walking on the sidewalk below. Now, facing this ancient-feeling Pinion, I realized I’d not really talked to a tree since that time in my life. That afternoon, I had one grown-up moment when I told myself “you’re making this up, Kinde.” Then I jettisoned my doubts and poured out my heart to this old being. And again, as I tuned into this tree, listened to its response after my gut-wrenching tear filled stories, I was astounded by its quiet and very compassionate response. It didn’t talk a great deal, but seemed to get to the very root (so to speak) of my issues and would speak only a single sentence here and there that communicated both a deep understanding of me, as well as showed me where I was kidding myself. Tough love, sort of. I felt deeply heard and as a result, more space for healing opened up inside of me. It was both wierd, and quite normal all at once. From that Great Re-membering, my winding path of evolutionary awakening began. I often encourage people to talk to trees now. If we pay the right kind of attention, we may have the ears to hear a great wisdom beyond our personal understanding. Like symbolic communication, a conversation with a tree is a kind of communication behind words. For me, it yields a wisdom that belongs to the Life Collective and a wisdom that we dearly need now in this time of Great Turning.